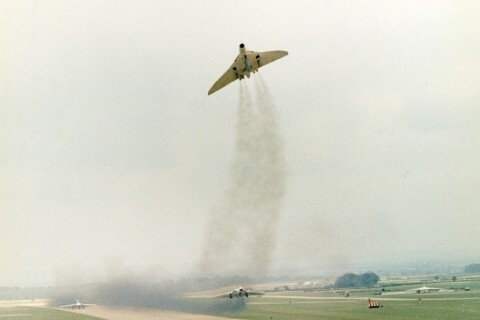 The 1960s saw the Vulcan force at its height in terms of numbers, the type serving with nine operational squadrons during the course of the decade. 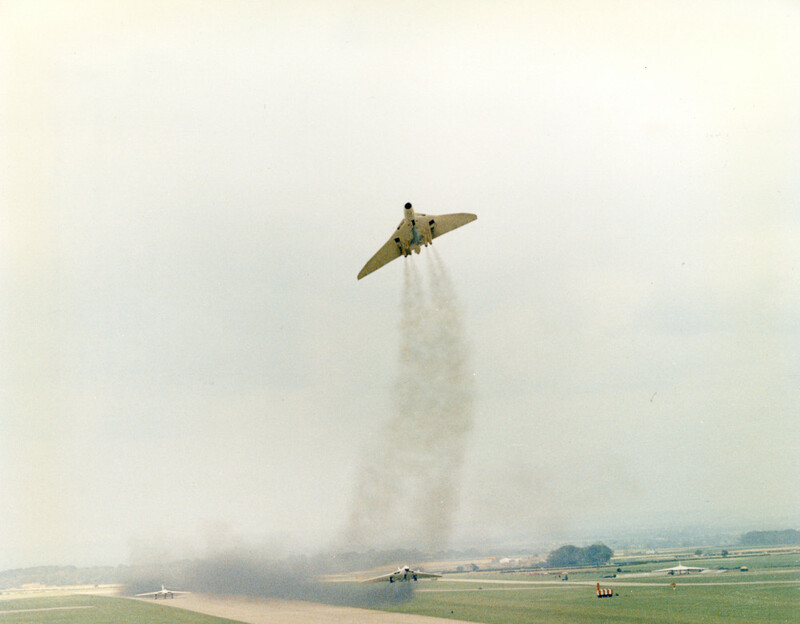 The introduction of the B2, and the consequent expansion of the Vulcan force, saw the formation, in 1962, of a new Vulcan wing at RAF Coningsby, Lincolnshire, although the wing subsequently moved to RAF Cottesmore, Leicestershire, just two years later. 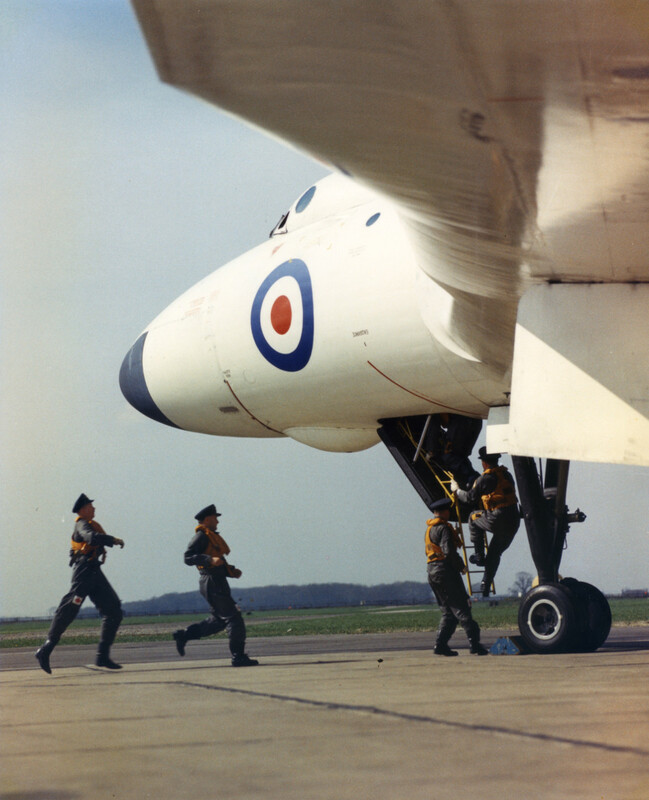 The V-Force provided a very creditable nuclear deterrent, with RAF Scampton’s Blue Steel Vulcans and RAF Wittering’s similarly-armed Victors, at its spearhead. 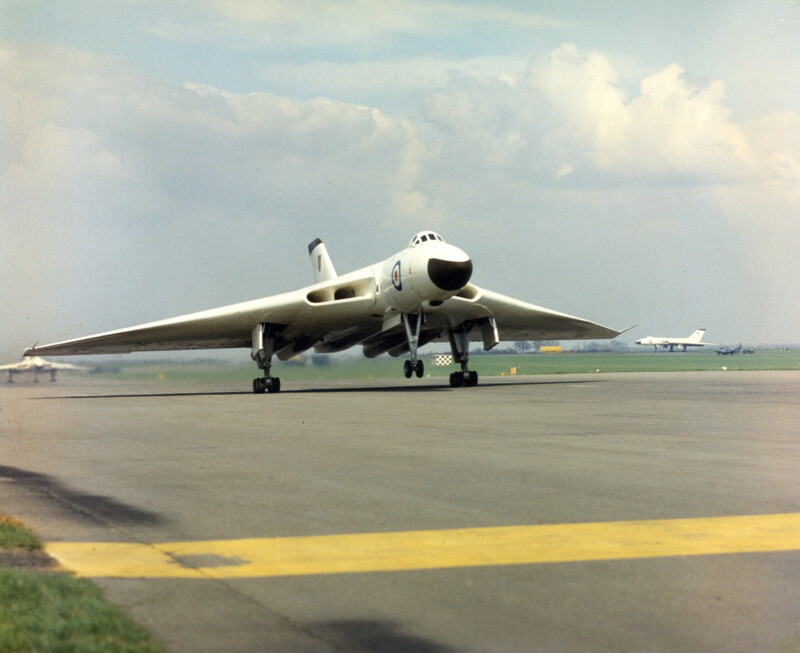 From 1962 onwards, the V-Force adopted a posture of Quick Reaction Alert (QRA), whereby one aircraft from each squadron (later increased to two) was held at ‘cockpit readiness’. 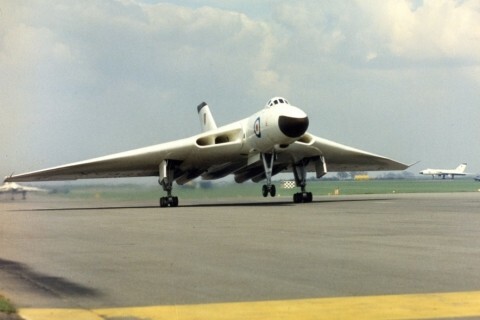 The ‘V-Force’ stood at constant alert, in much the same way as Fighter Command had done so during the Battle of Britain, awaiting the call to ‘scramble’ in response to any perceived Soviet attack. The QRA aircraft stood specially constructed dispersal pans, called Operational Readiness Platforms, built at the end of the V-Force runways. All four engines to be started simultaneously, and its flight instruments and flying controls brought on line, in the space of just 20 seconds - all at the touch of a single button. 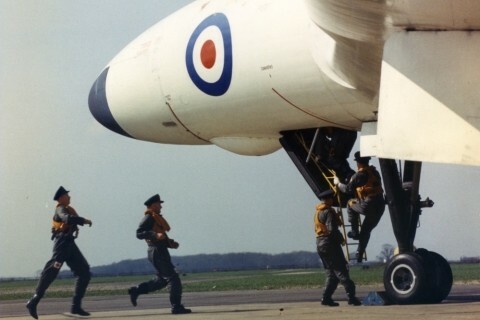 This enabled crews to get their aircraft airborne sometimes within two minutes of the ‘scramble’ being sounded, adding greatly to the V-Force’s credibility as a major part of the West’s nuclear deterrent. Provision was also made to disperse the V-Force’s aircraft to airfields throughout the country during times of tension, avoiding the possibility of a ‘knock-out’ blow being delivered by a pre-emptive strike. ORPs were constructed at 27 designated dispersal bases, in addition the V-Force’s own airfields. The V-Force’s highest state of readiness was reached during the 1963 Cuban Missile Crisis, although it was decided not to disperse its aircraft in case this was misinterpreted by the Soviets as a preparation for a nuclear attack.